I am a homebuilder/developer and have lived in Bartlesville, OK for most of my life with an educational stint at Harding University and a four year stay in Tabernacle, NJ. My career started in the homebuilding business, then veered into CPA work with a minor stint as a professional golfer. I came to love writing later in life, although I’ve always loved books and reading. The creative process of arranging words on page opens windows to my veiled brain…and sometimes opens doors into understanding others through writing about what I see as I walk along life’s pathway. 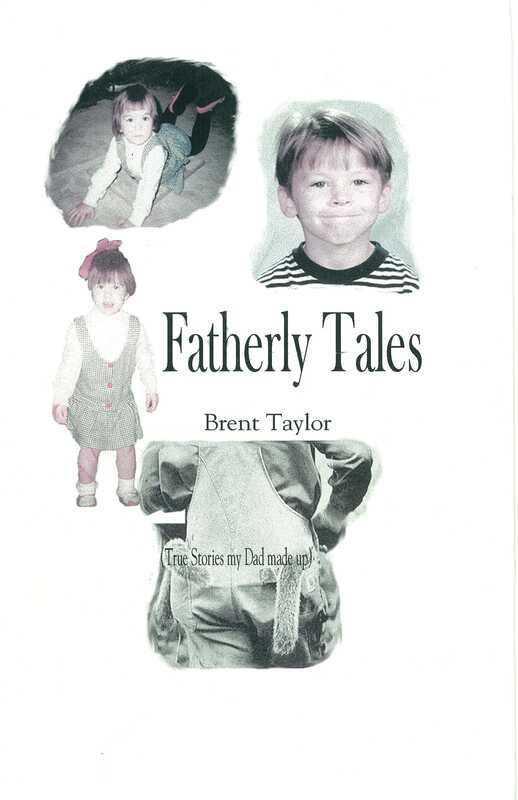 My first book, Fatherly Tales, I wrote just for my kids. There are about 5 copies in print so because of the scarcity, I’m sure they are invaluable (maybe to my kids anyway). Here they are on the book’s cover about twelve years ago. I’m married to Karen Mason Taylor and our children are Lauren, Jenna and Brandon. My roots in writing run deep and I’ve had great models of storytelling including my Dad, Terrel Taylor, my grandmother, Grace Taylor and two of my writing mentors, my brother Greg Taylor who has spent time as an editor and published several books, and my uncle Rudy Taylor, a long-time publisher of several newspapers in southeast Kansas as well as an accomplished writer, storyteller and author. I am glad you came to love writing, you are good at it.